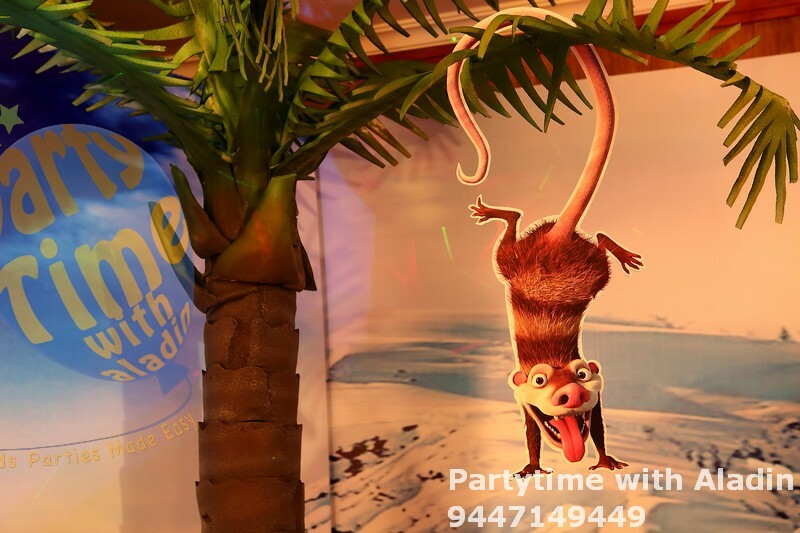 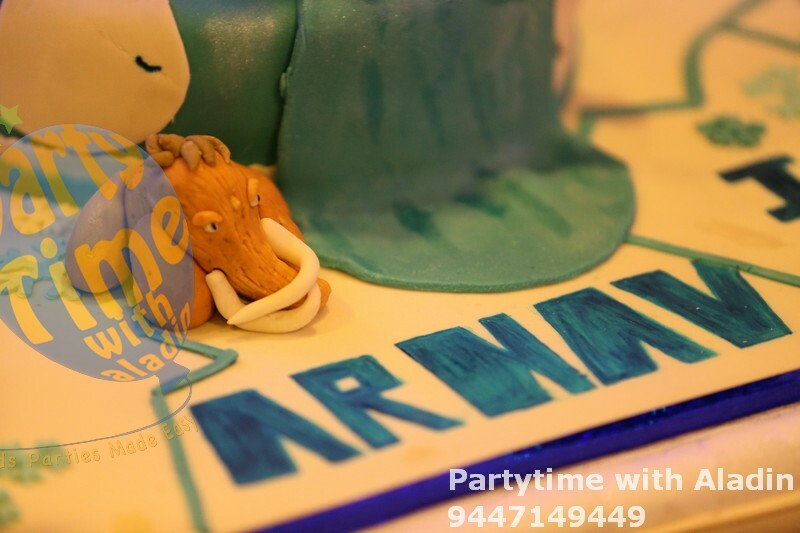 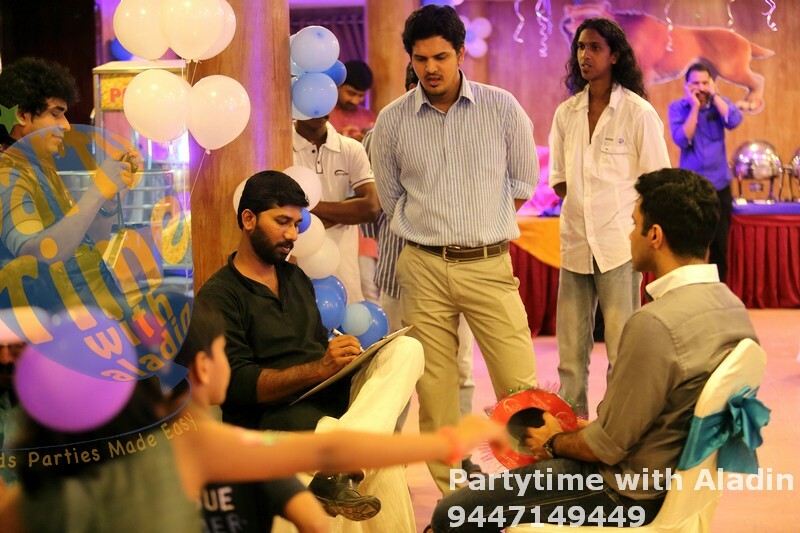 We recently created this for the birthday party of a one-year-old baby of a doctors couple recently in Kollam, Kerala. 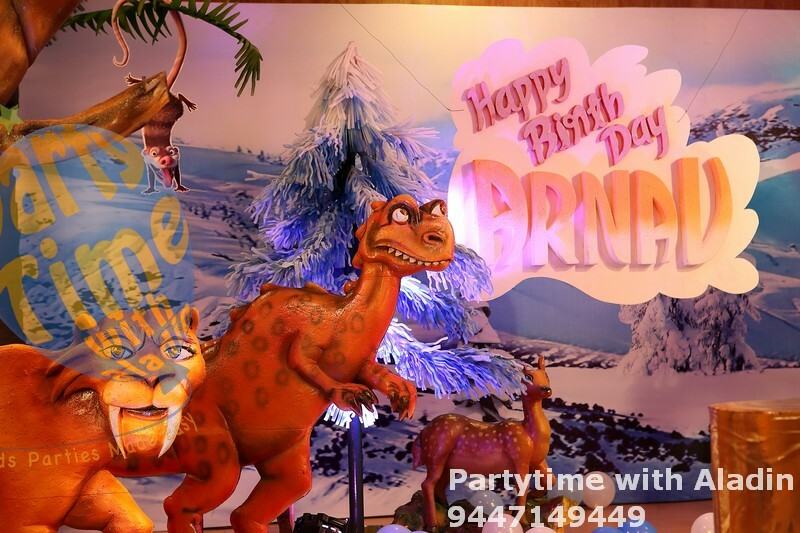 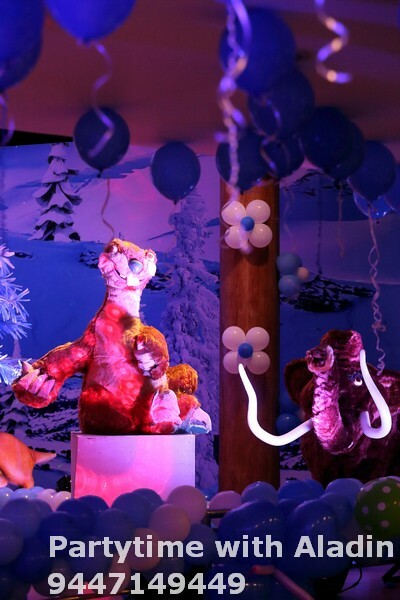 Our art directors created in theme characters and trees in 3D using forms, wood, thermocol, fur cloth, fiber mold, plaster of paris and flex back drop, character cutouts on walls. 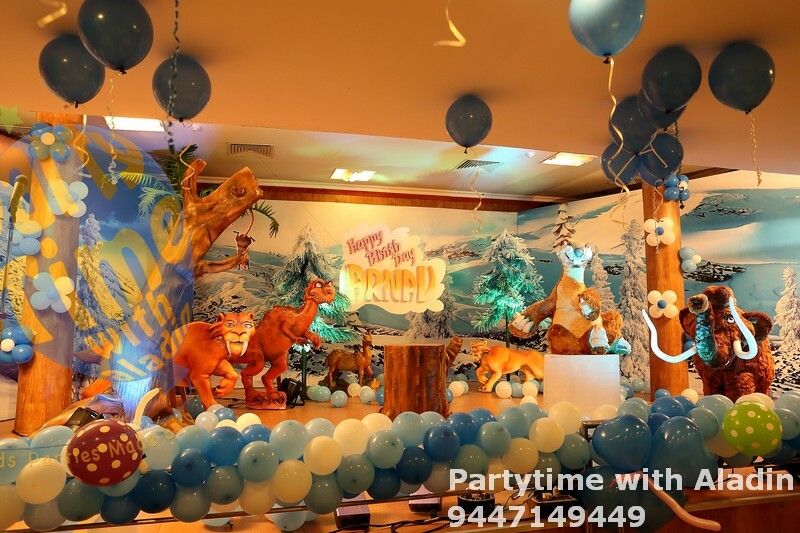 Balloon pillars, helium balloons added richness to the theme. 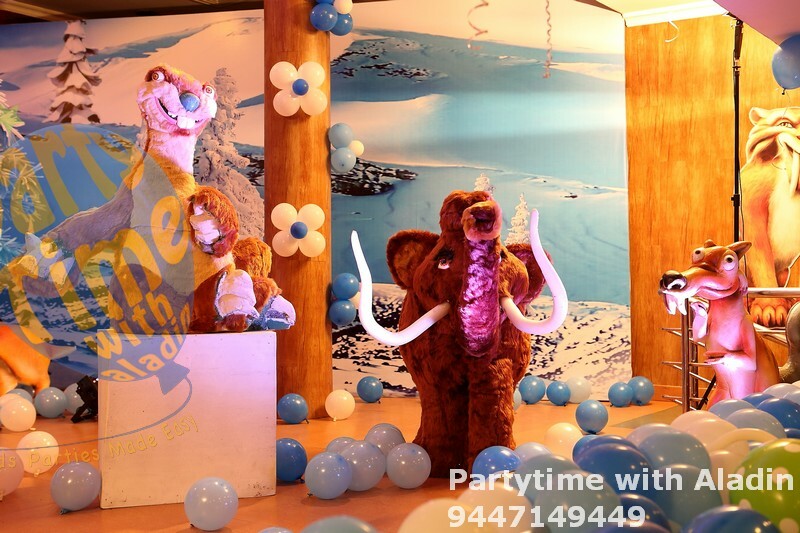 Table center piece was cerated using pom-pom flowers. 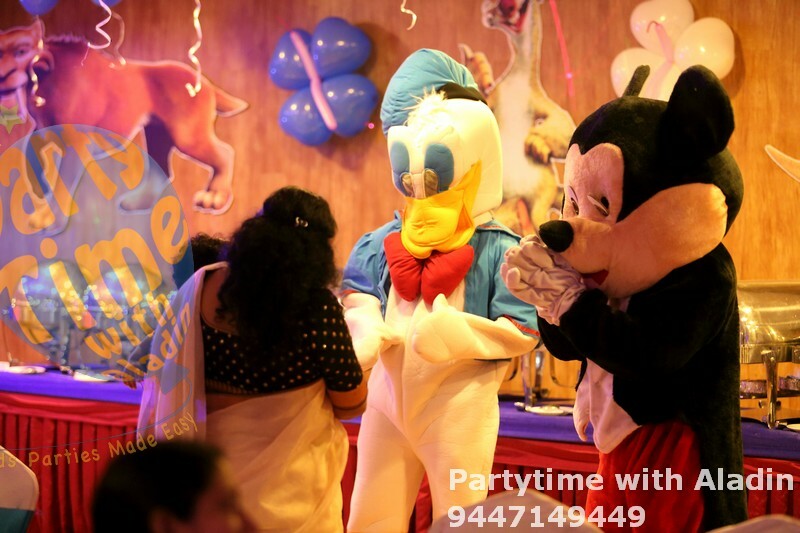 This was Arnav's first birthday. 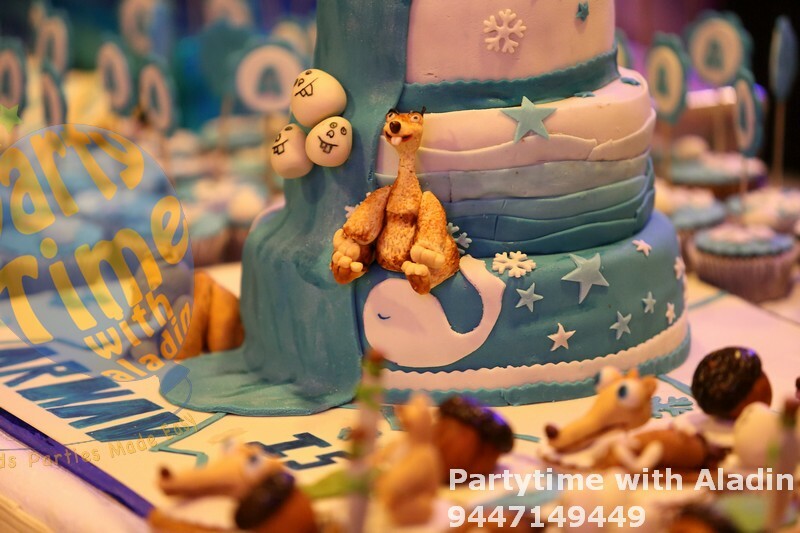 Our cake vendor Mrs. Laksmi Sreedhar made beautiful themed birthday cake and cup cakes. 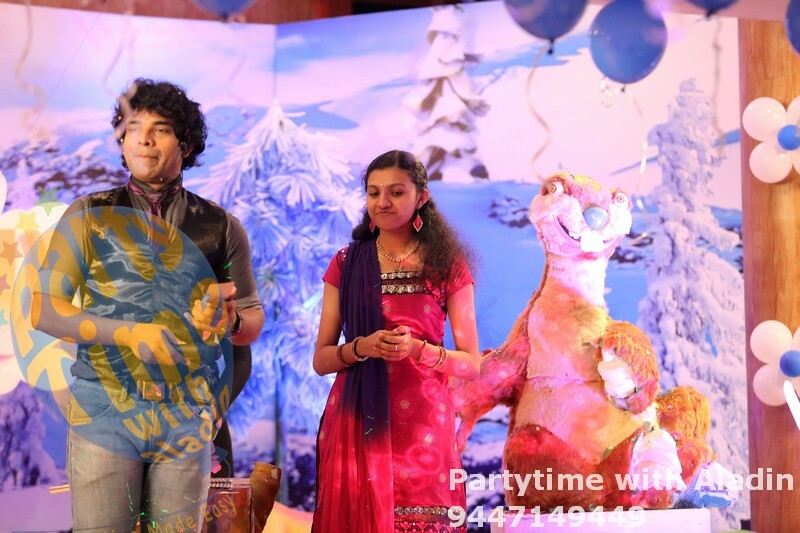 Aladin was the master of ceremony. 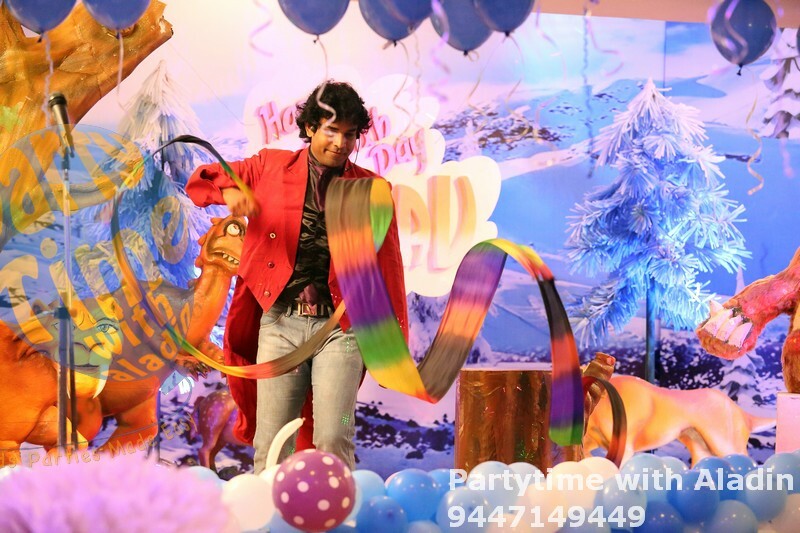 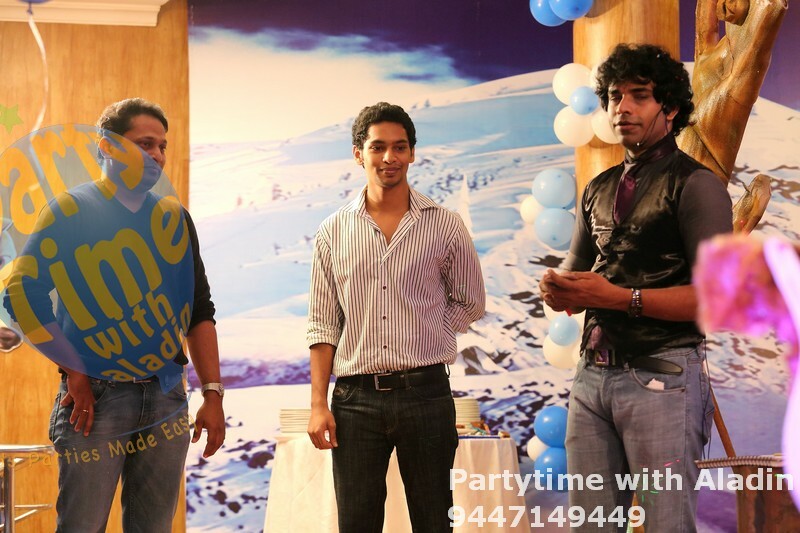 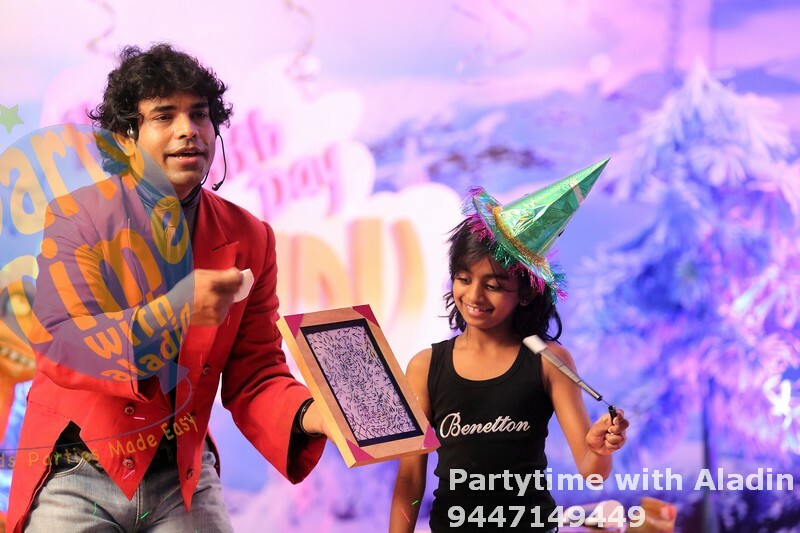 The cake cutting was followed by Aladin's Magic, Ventriloquism and mind reading shows. 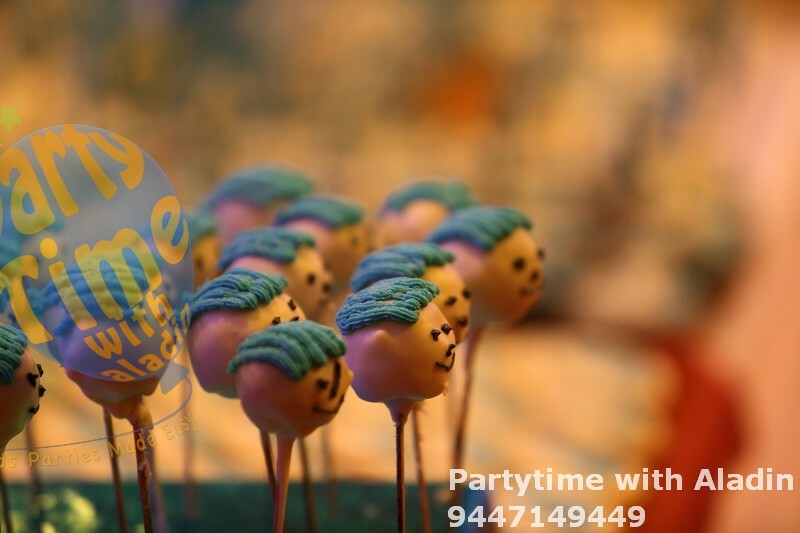 Pop-corn stalls, live caricature added flavors to the party.